D-36 Chander Nagar Ghaziabad - 201001, U.P. ACE Group was established in the year 2005 and has now become one of the leading names in the real estate industry. ACE Group was established with a vision to provide top quality luxury homes the offer luxury, comfort and peaceful living. The company aspires to become a benchmark in the real estate industry by providing modern infrastructure with modern amenities. ACE Group has been accredited with some of the best residential projects with pollution free surroundings in Greater Noida, Noida Expressway and Noida city. ACE Group has also marked its presence with well-planned and meticulously designed commercial projects. ACE Group lays emphasis on a relationship-centric business model and helps in providing value added services to its clientele. ACE Group business activities are centred around superior quality, high-caliber construction technology and client satisfaction along with building a relationship with the client. 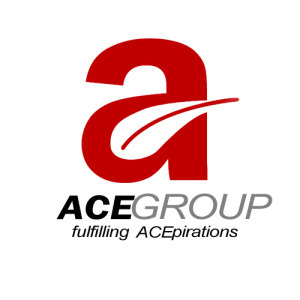 Some of the projects developed by the ACE Group includes the ACE City, ACE Aspire, ACE Platinum and ACE Golf Shire. The ACE Group offers customized services for NRIs who wish to invest in India’s budding real estate market. With the guidance of the ACE Group they can take calculated risks and make informed decisions about buying, leasing and selling property in India. ACE Group is a trusted name in the real estate industry as the entire organization comes together to work productively and complete every project on time.